Temptation Sundays is a LGBT party at the Luxor pool. This alternative lifestyle event boasts beautiful surroundings, games and contests, specialty cocktails, and a DJ spinning fabulous energetic dance music. Each Sunday has a special theme, like Glam Sunday, Christmas in July and Cowboys of Summer. When you are feeling your sexiest, you can join in the Sexiest Cowboy contest. This is the top LGBT pool party in Las Vegas, so let the temptation to party poolside take you to the Luxor’s Temptation Sunday. Indulge yourself and rent one of the luxurious VIP cabanas complete with TV’s and refrigerators or one of the plush pool side daybeds made for lounging while taking in the views. 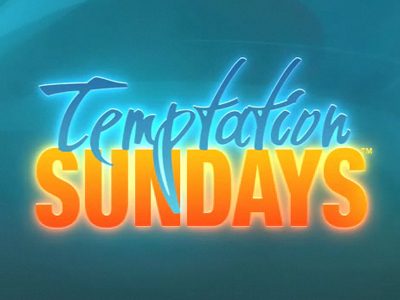 I seriously loved temptation Sundays. Its such a fun time for the LGBT community. We rented a really cool cabana. They have TV’s but that didn’t bring us much use since we were mostly just socializing.